Looking west up "The Other Borrowdale"
I had finished blog #31 (The Other Borrowdale) with the words, “…This walk only followed the northern ridge, and as we returned to the car there was already talk about coming back for the southern ridge…” 3½ weeks later we were back. 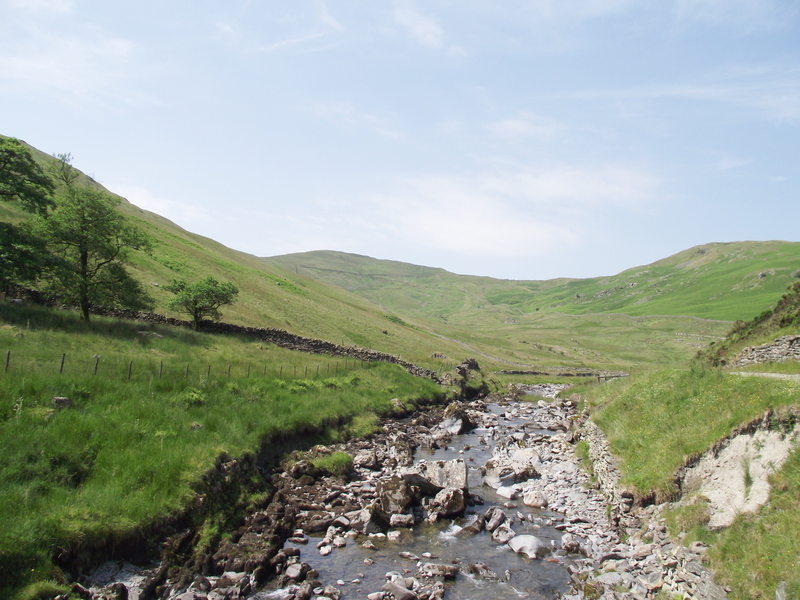 Last weeks prediction of heat-wave conditions for Ingleborough had ended in rain, but once again the Met-Men were forecasting fine weather, so a return trip to the Howgills was on. 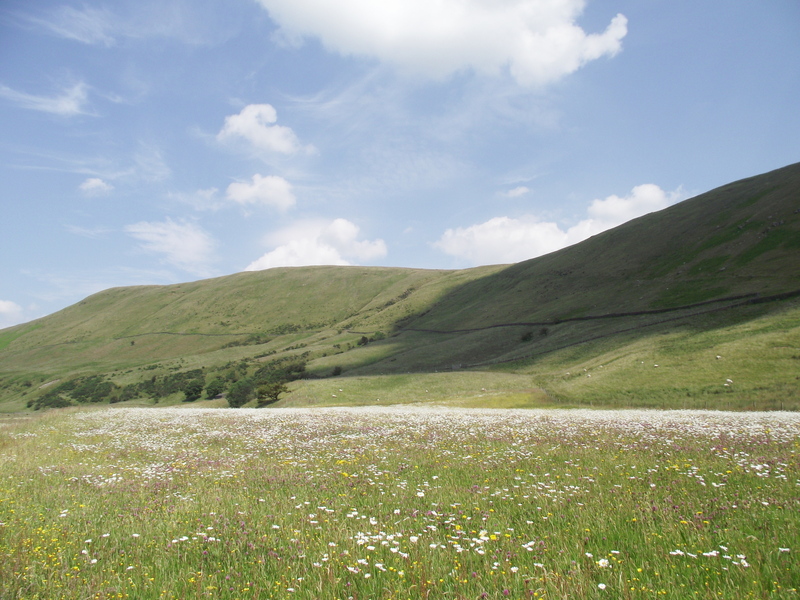 Yes, I did say the Howgills. 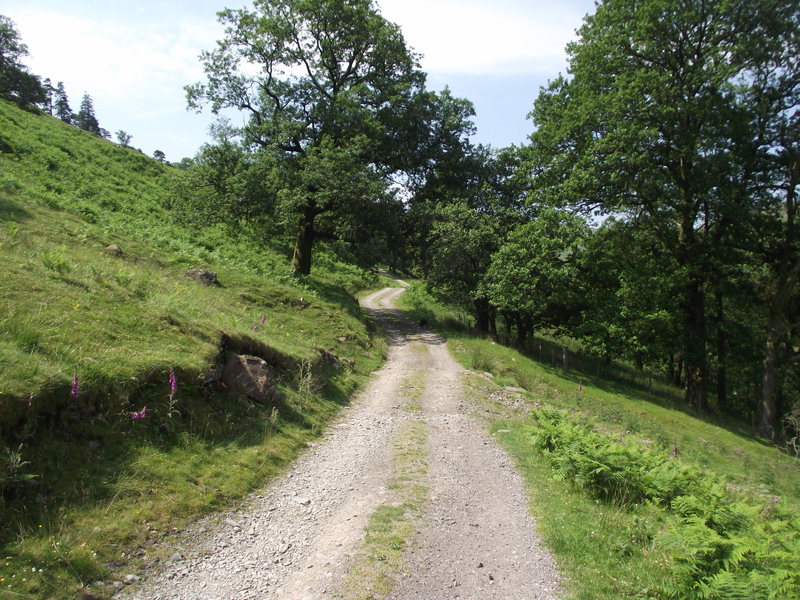 For those who haven’t seen post #31, this Borrowdale is in the old county of Westmorland, and runs from the A685 (between Tebay and Grayrigg) to the A6 (between Kendal and Shap). 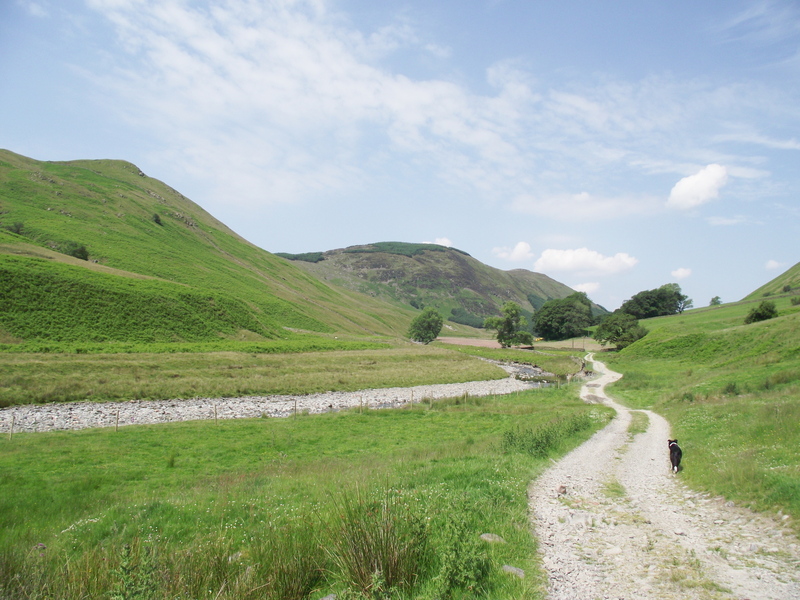 These are quiet, lonely hills, where you rarely see a soul, and they are not really typical of the Lake District or even their nearby neighbours, the Howgills; this is quite simply, “The Other Borrowdale”. 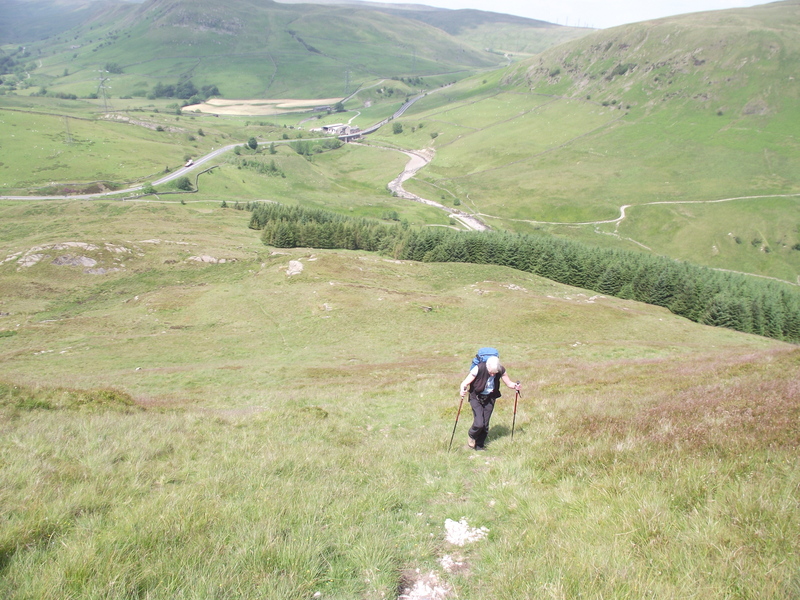 We started at the A685 by following an easy track that runs all the way up the valley to the A6. The walking was easy and a height gain of over 50 metres in the first 2 kms was not even noticed. We soon passed the farmhouse at Low Borrowdale, followed soon after by the ruins at High Borrowdale. Not far beyond there we came to the flower meadows we had admired 3½ weeks ago – they had impressed then, but since our visit they had, literally, bloomed. When we reached the A6 there was a feeling that the walk was about halfway through – this was far from the case, though, and the gradual height gain became a little more serious. 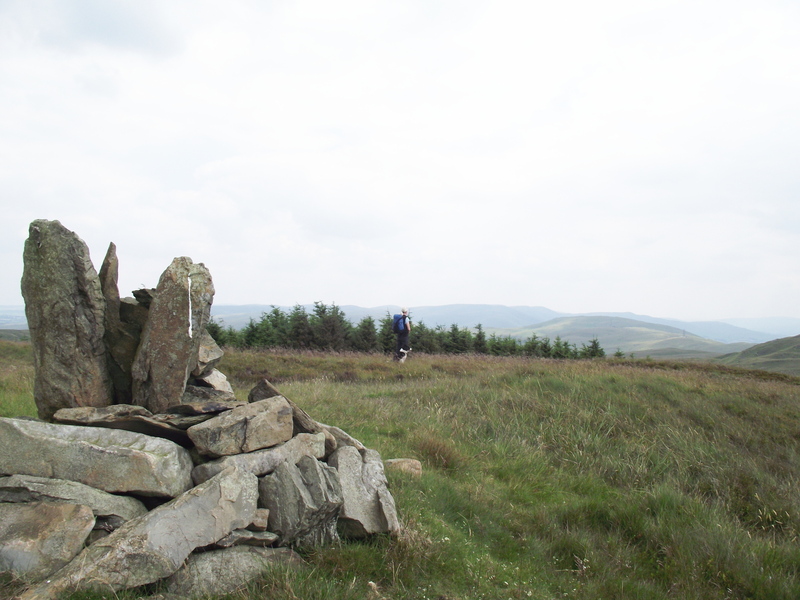 We started with Ashstead Fell with its three separate summits. 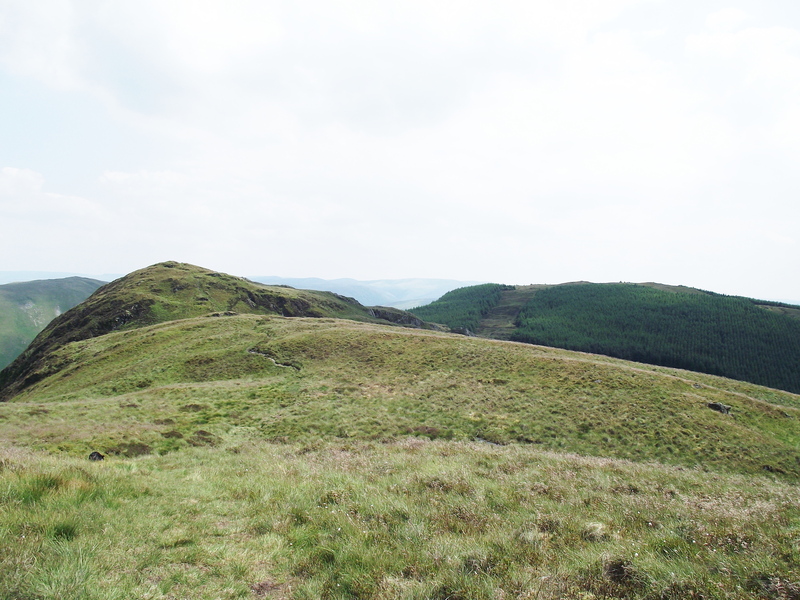 From the third summit we had a good view of the next objective – Mabbin Crag, our highest point of the day at a mere 482 metres. 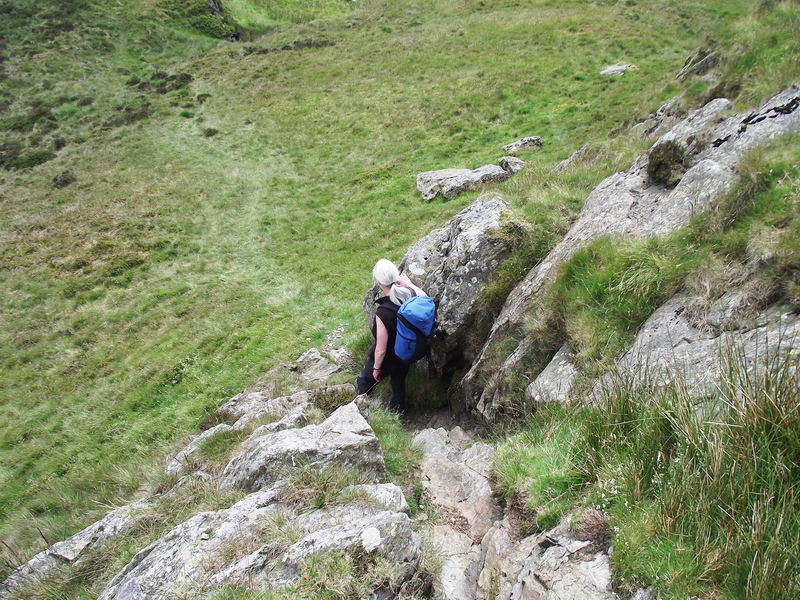 However, a surprise lay in wait as we left the summit, in the form of a ten-metre rock step. The downclimb was easy enough, and too short to be a difficulty or, unfortunately, an attraction. 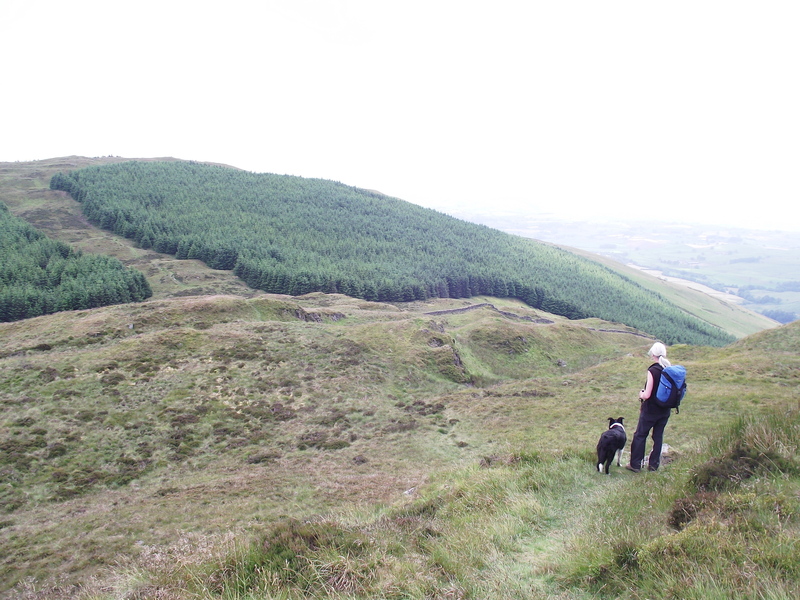 From there it was a switchback of a ridge walk. Tree-clad Mabbin Crag came next, with a devious and damp descent to the next col. From there it was up again to Castle Crag. ‘Complete-ists’ will probably make the short detour to the summit, but we didn’t bother. 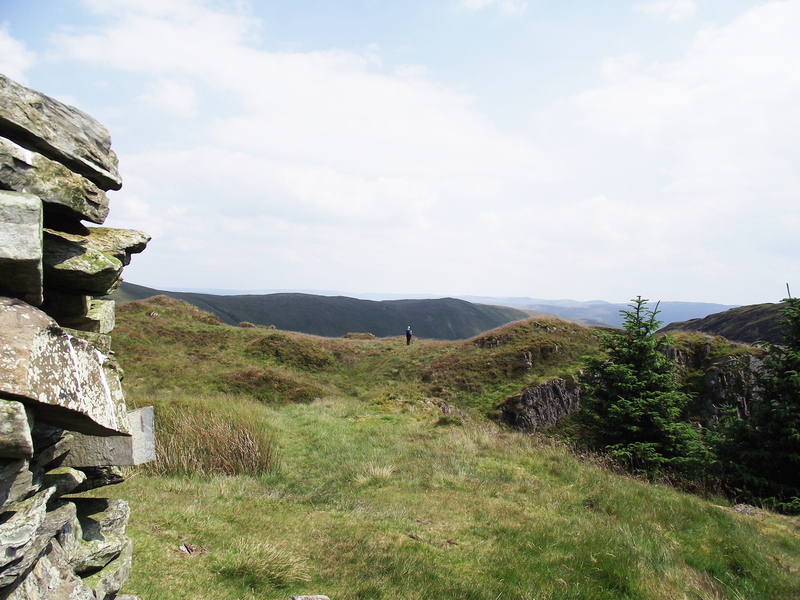 A descent followed to another col before climbing again to Whinfell Beacon. The beacon has been used as such in the past, and there is a small plantation of trees below the summit, once used to provide the wood for the signal fires – the only issue is the 50 metre ascent with half a tree on your back. 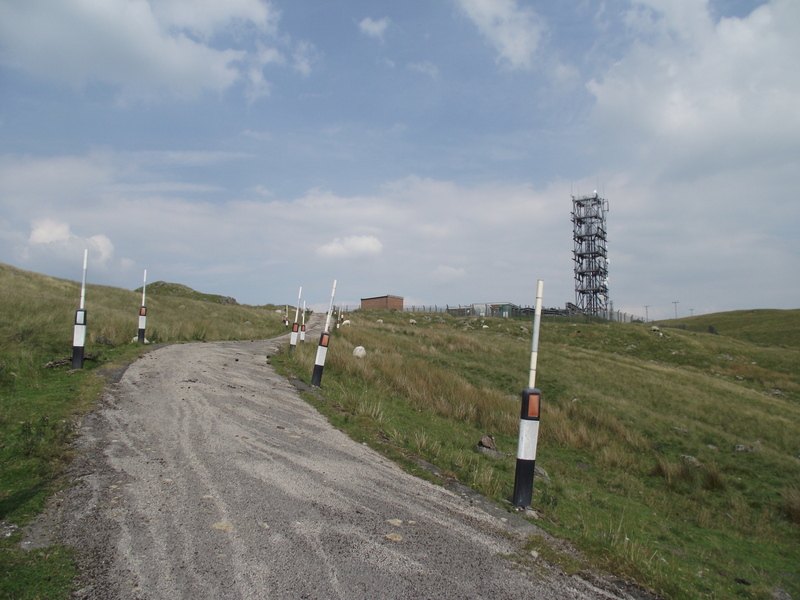 From the beacon an easy track led us on to two modern day beacons – the repeater station and mobile phone masts near Grayrigg Forest. If you drive much in the North of England you will have seen these masts silhouetted on the skyline as you drive north on the M6 between junctions 37 and 38. They don’t look any prettier close up, but you do have a mobile signal to call your mates to tell them where you are. The masts also gave us a clear signal of something else, that it was time to return to the valley. It had been a hot day, and with more up and down than expected, and we were more than ready for the steady descent pointing us back down to Borrow Beck, and the start point. p.s. If you have enjoyed reading this, why not pass it on to someone you know. This entry was posted in 4. 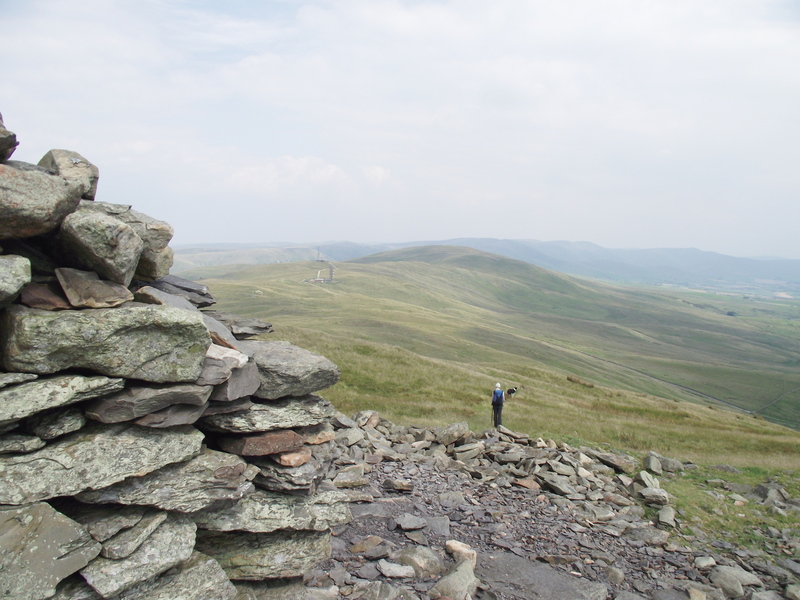 Northern England and tagged Borrowdale, Cumbria, hillwalking, Howgills, mountains. Bookmark the permalink. The flower meadows alone were worth the trip I think. I’ve just been bemoaning the fact that you really have to search them out these days. We’ve left some small patches of garden ‘fallow’ this year and it’s amazing the variety of colour we’ve got – the grasses are interesting as well. 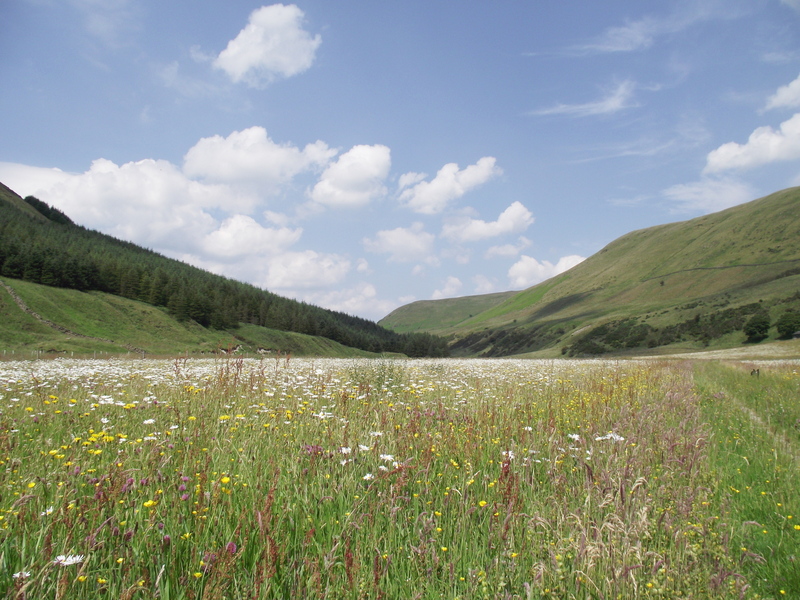 The meadows are the result of an initiative by the ‘Friends of the Lake District’ – they have also planted a load of new trees in the valley. However, the ‘Friends’ have done a brilliant job here, and the select few who walk here will enjoy the fruits of their labour.